A REFUND DEPOSIT scheme for alcohol containers would help reduce illegal rubbish dumping, a councillor has said. Labour Party councillor Thomas Redmond from Athy has called for the introduction of a refund system on alcohol containers – cans and bottles – which he said would “end the scourge of dumping”. Redmond told TheJournal.ie that he was inspired by similar schemes in place in European countries, such as Germany. People can return their bottles or cans to a specific centre or location and will receive a small amount of cash in return. Redmond said that a recent litter clean-up by locals of the river walkway in the town of Athy produced in excess of 2,000 cans and bottles. He said that following this, people approached him to see if more can be done about littering in the Kildare town. He believes a refund deposit scheme, or tax on the alcohol containers, could work to reduce this, and has received support from publicans in Athy. Redmond said that in Germany, supermarkets offer the ability deposit cans or bottles using a machine which then refunds the cash. According to Redmond, it would cost around $10,000 for each machine, and he says at least one local publican is interested in purchasing one. Redmond is to put forward a council motion regarding the refund scheme, and said that he hopes the council will write to the Minister for the Environment, Phil Hogan, to propose the idea. There is no point in it being introduced [locally] – it just won’t work. It needs to be a nationwide thing and it wouldn’t take much legislation. A study on a deposit and return system for bottles in Ireland was published by Repak in 2008. It said that if the Irish government did bring in such a scheme, it would have to ensure that deposit legislation and the deposit system are in line with EU rules, including the Directive on Packaging and Packaging Waste. Ireland does not have widespread use of refillable items, although earlier this week, it was announced that Adare Farm is to sell its milk in glass bottles through Superquinn in Dublin. The bottles can recycled. 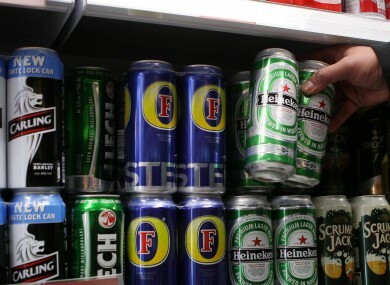 Repak said that the legislation could be challenged by the EU authorities or other member states as a breach of EU single market rules, as it would be a barrier to trade of imported drinks. It said if a deposit is introduced, it must be clear to consumers and staff, and that it could include beer, water, carbonated soft drinks packaging. Ireland would have to choose between a simple deposit system, or a centrally managed system and would also have to decide on a price, ideally between 10 – 25cent. Email “Refund scheme for alcohol containers 'could reduce illegal dumping'”. Feedback on “Refund scheme for alcohol containers 'could reduce illegal dumping'”.